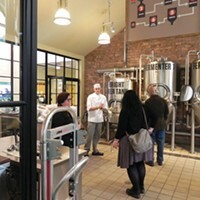 The tasting room at Arrowood Farm. 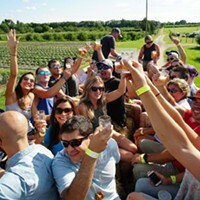 Thanks to the influx of new breweries in the Hudson Valley and beyond, summer beer drinking has gotten a whole lot more interesting in recent years, and a whole lot less Corona-centric. 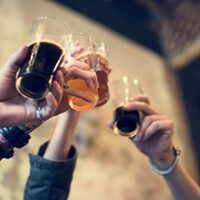 A variety of great sour beers as well as fruity and refreshing IPAs are being brewed across the region and can be found in bars and liquor stores. Keep an eye out for the following beers: Each is an example of a local refreshing brew that is the perfect companion to warm weather and sunshine. A Berliner Weisse is a mildly sour style of beer that originated in northern Germany and is traditionally brewed for the warmer months. In general, beers made in this style have a tart, lemon-like flavor. With this Berliner Weisse that lemon flavor gets paired with an infusion of ginger. Lemon and ginger are a natural duo beyond the beer world and work just as well together in this beer, which combines a variety of bright and subtle flavors into one compelling and very refreshing brew. For the first time this year, the beer is available in cans. Chester. Cream ales were originally brewed to compete with the popularity of lager beer (a smooth style of German beer of which Budweiser is the best-known but certainly not best-tasting example). Newburgh's take on this classic style is a light-bodied, easy-drinking beer with a malty and refreshing finish that is approachable and perfect for drinkers not in the mood for the hop wallop of some IPAs. The beer took home the silver medal in the "English-style Summer Ale" category at the 2015 Great American Beer Festival. Also great for summer drinking from Newburgh is the mildly sour Checkpoint Charlie Berliner Weiss, now available in cans. Newburgh. 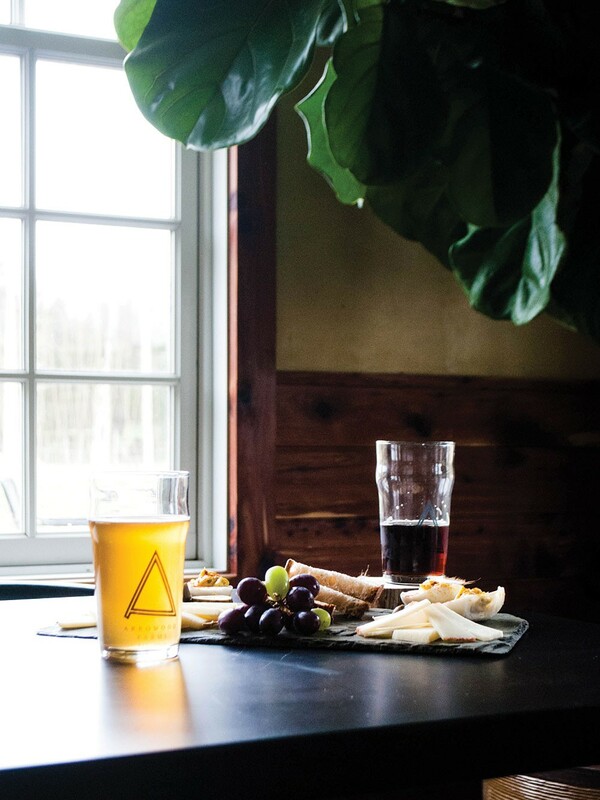 This farmhouse brewery opened earlier this year and is poised to make a splash, with sprawling on-site hop and rye fields and an inspiring dedication to organic farming, local products, and sustainability. The plan is for the brewery to offer approachable, balanced beers that really highlight local ingredients. The brewery's IPA is an excellent early example of that goal coming to fruition. Light with an intriguing hop forwardness but no bitter aftertaste, the beer was made in part with Cascade hops from the farm. The Hudson Valley Cascade hops have a flavor unique to the region that is less citrusy and more piney than the same hop grown elsewhere. You can taste that in the character of this refreshing and distinctive IPA. Accord. One of the most popular beers to have originated in the Hudson Valley, this brew has garnered praise from the New York Times and from beer aficionados far and wide, including from many Manhattanites who seek it out at select New York City beer bars. The beer is brewed with wheat, corn, and Brettanomyces, a wild-style yeast affectionately known as "Brett," which imparts a pleasant and mild barnyard funkiness that gives beer made with wild yeast a sought-after character. Lightly sour and refreshingly tart, it is a perfect gateway sour beer and summer drinking option. Peekskill. As its name makes clear, this is a beer designed to be sessionable (a beer you can drink several of in one drinking session), and it achieves that goal. It has a light body and strong but not overpowering hop character that will appeal to hop heads and IPA fans alike. The hops are balanced by citrus and a light thirst-quenching mouthfeel. All this combines to make the beer a great go to at backyard barbecues or after a day of fun in the sun. Kingston. This seasonal beer from Connecticut's only farmhouse brewery always changes, as each batch is made with a different unmalted grain. However, it always features regional ingredients including local hops and grain, and is mildly soured with the brewery's house lactobacillus culture. Past versions of the beer have tasted saison or gose-like with a light body, some mild earthy funkiness, and a pleasant tartness. All these flavors combine in a beer that is perfect for summertime sipping and a great choice for lovers of saisons and other farmhouse-style beers. Kent, Connecticut.